A second volume of short stories created for the women's magazine market, from the author of "Midnight is a Lonely Place" and "Lady of Hay". The stories vary from the contemporary to the historical, and from the spooky to the humorous. 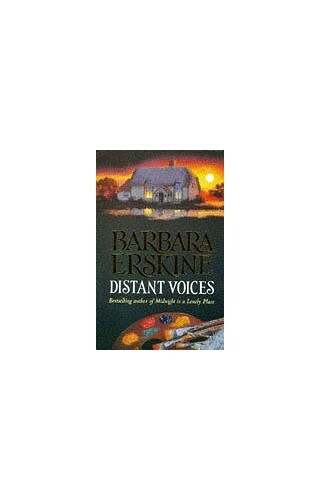 In her second volume of short stories, which follows the hugely successful 'Encounters', Barbara Erskine has created a compelling world of love, betrayal, suspense and grief. A biographer investigating a tragic death hears voices from the past drawing her towards the truth...A nineteenth century parson's daughter is caught up in the excitement and romance of a smuggling intrigue...A young boy from a deprived background finds his own haven in the wastelands of the inner city...Contemporary, historical, spooky, and humorous - there are over thirty delightful stories, each one guaranteed to capture the reader's imagination, and all demonstrating Barbara Erskine's unique powers as a storyteller.